Greetings. This is quite a delayed update, but with good reason. 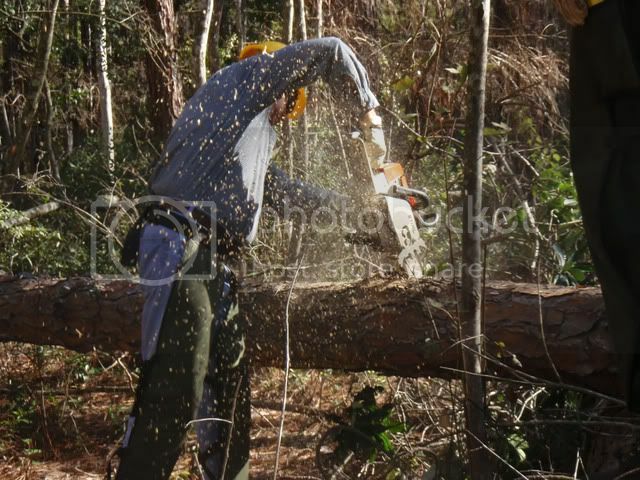 On Nov 15th and 16th I participated in a chainsaw certification course through the Florida Trail Association. I wanted to surprise my brother so I didn’t blog about it until I got my certification card in the mail. That took almost a month as it just arrived last week. I would’ve blogged sooner but this past weekend I was in the woods again for Part 2. Part 1 of the certification is bucking and limbing. Most of what the FTA trail crews deal with is storm damage. 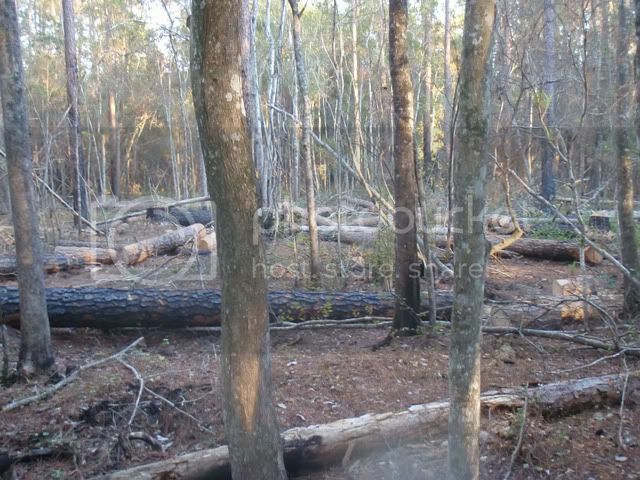 If you read my entries about hiking through Ocala I mention how much debris blocked the trail. Since Ocala and Osceola National Forests are roughly in my immediate area that’s probably where I’ll be working. 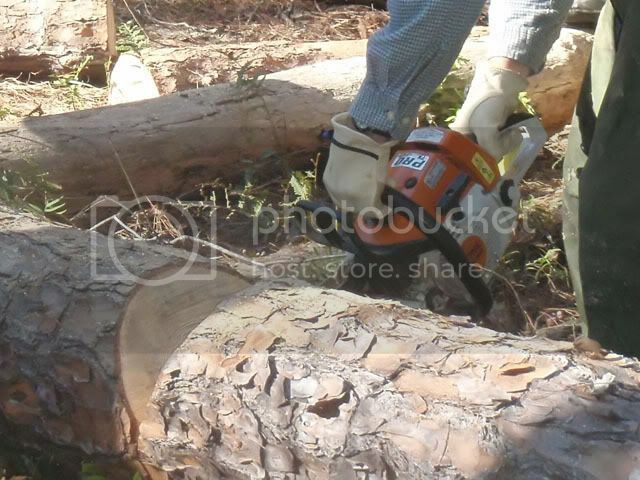 The US Forest Service has a requirement that anyone using a chainsaw in a National Forest must be certified. That was the purpose of this course. So based on the primary role of clearing debris, it makes sense to start with the tasks of bucking and limbing. Limbing, obviously, is the process of removing the limbs from fallen trees. 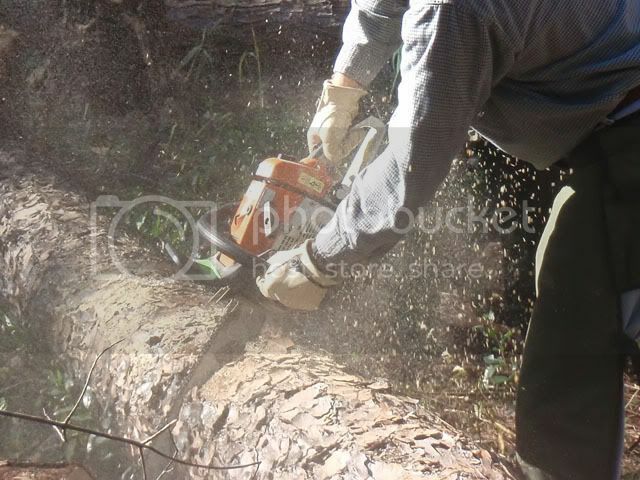 Bucking is the processing of cutting (or bucking) a tree into manageable sections. In some cases it may be as simple as cutting the section out that blocks the trail and leaving the rest of the tree to nature. The first day was mostly classroom education. Paul Varnadoe was our primary instructor. He is the fire crew chief for the Osceola National Forest. We spent the day going over safety procedures, saw techniques, etc. We reviewed different pictures to identify hazards and improper actions as well as the best way to handle a situation based on all of the various aspects. We learned about tension and compression and how the different types of binds need to be approached. After lunch we headed out to the shop to do a little hands-on saw maintenance. We went over proper starting methods and then broke the saws down completely to do full maintenance on them. Day 2 was where the fun began as we started the field work. Paul and his partner Tim took us out to Osceola Pond and cut down a number of trees for us to practice our new skills on. We split into two groups and spent the day clearing the debris left by Hurricane Paul. 🙂 The trees were laid on top of each other to create different scenarios. We each had to demonstrate the ability to manage top and bottom binds as well as creating a wedge cut to clear a section of trail. Here I am making one of my pie cuts. This tree had a top bind so I was cutting a wedge out to reduce the possibility of binding my bar. Here’s what the finished cut looks like. Once the wedge is removed from the top you can bring the saw straight down. As the wedge closes it keeps the kerf (the cut made by the saw) from closing on the bar. Here’s a different angle of me making a cut. In this example I’m cutting the offside of the tree. I’ll cut the side opposite of where I’m standing and then bring the saw back down from the top. I can also use the tip of the bar to remove the wood from the side facing me and then come up from the bottom to finish the cut. This is the aftermath we left behind. Keep in mind that we were working on dead trees during this field exercise.